← My New Book – C’mon God, Give Me a Break! We live in a time when things are going so fast that we do not have time to evaluate what is important and what is not. We keep tackling the first subject that comes our way, without paying attention whether it is the best option or not. That attitude can bring many problems into our lives, business, and church. We can make the wrong decision and find ourselves in a terrible situation. When we do not have time to evaluate what is the best way, or at least the better option among those that are in front of us we begin to play Russian roulette. We know that we can get lucky, but we never know when our luck will run out. When Jesus was on His way to Jerusalem he stopped by a house in Bethany. It was the house of Martha, Mary, and Lazarus. We all know the story very well. You can refresh your memory by reading Luke 10: 38-42. It is interesting that in this family we remember Lazarus for his resurrection; we remember Mary for anointing Jesus and sitting at His feet to learn; and we remember Martha just for complaining to Jesus about her sister. 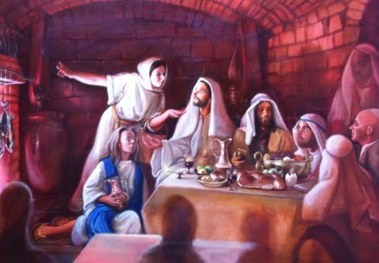 In this story we learn that Martha was the one who opened her home to Jesus. She was the one working hard to get everything right for the guests. If you know a little bit of their culture you know that it involved many things. It was a large group of people. She needed to have everything ready, food, the house, and the wellbeing of the people coming to her house. You also need to take in consideration that Lazarus would be with Jesus and the disciples, and the ladies would have to do all of the work by themselves. We do not know if they had any servants. It doesn’t appear that they had since Martha complained about the lack of help from her sister. Those things were very important in that culture. Martha was doing everything that she was supposed to do according to her position, but Mary took a totally different path. Mary decided to challenge those ethnic rules. She just sat down at Jesus’ feet and with her brother and the other disciples she was listening to His teachings. Martha, upset and distraught with her sister’s behavior, took her complaint to the highest court, Jesus Himself. She could have talked with her brother, since he would be the authority in the house, but she thought that going straight to Jesus would look better for her. She was sure that Jesus, like all the other men that she knew, would side with her and order her sister to go back to the kitchen where she belonged. What a surprise! Jesus not only pointed out her flawed attitude, but also approved and supported Mary’s attitude. My friends, how many times does our culture dictate what we are supposed to do? Like Mary we should decide what is the most important now. Sitting at Jesus’ feet and listening to Him should be our first option always. It is a small decision, but it is the one that will make all the difference. This entry was posted in Uncategorized and tagged Christian, Christianity, encouragement, faithful, Jesus' teachings, Small decisions, The most important first. Bookmark the permalink.